When shopping for eco-friendly office furniture, look for pieces made from responsibly harvested wood or recycled materials. Your green office furniture should have a non-toxic finish and material-efficient design, while looking cool, too. Here are some of our favorite stylish, green items for your home office. 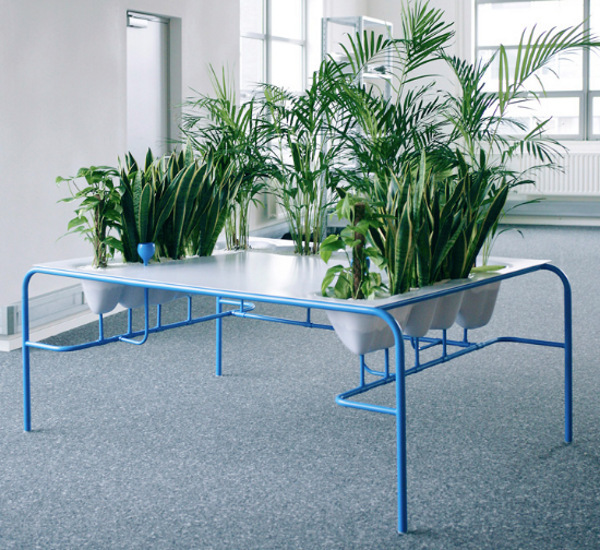 Get your own personal fresh air from this desk that nests air-purifying plants. The desk’s design forms a hydroponic system that feeds the plants, making caretaking clean and practical. There’s no soil — instead the plants are nestled in hydro stones. You can find out more about this environmentally friendly desk from JulioRadesca.com. Check out the Passage desking system for a cool desk for your home office that is eco-friendly too. These desks are made of 40 percent recycled materials and are 70 percent recyclable at the end of their useful life. They have Cradle-to-Cradle certification and are available with a bamboo veneer. If you are looking for a desk with a lot of workspace, this desking system is the perfect solution. Shop for a desk chair that is ergonomically designed and eco-friendly too. We love the line of Flash Furniture mesh-back computer chairs ($90) with their comfortable design and colorful backs. 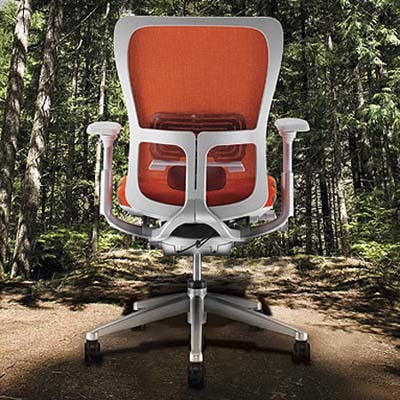 Check out these desk chairs and an assortment of other eco-friendly, ergonomic chairs at BizChair.com. Also take a look at the Haworth Zody chair. With a modern, chic design, this chair is a hit among green circles because it’s made with 51 percent recycled content and is 98 percent recyclable when its days are done. This chair doesn’t come cheap, however — it’s priced upwards for $600. While decorating your home office, look for an eco-friendly, cool desk for your kid’s room or homework space as well. Try the Legare Furniture Select Kids Series 43″ Multi-Pack Desk ($259), which comes in fabulous colors like lime green or purple. It’s made with a durable, non-toxic finish over an MDF base. These desks are created from eco-friendly materials in FSC-certified mills. This eco-chic desk is suited for young kids up to college students. When putting together your home office, consider these tips to help save resources and energy. 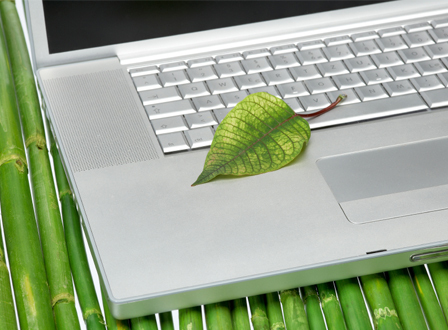 Buy energy-efficient computers and equipment. Look for items with the Energy Star logo when shopping. Choose an all-in-one fax machine, copier, printer and scanner. You can save money and resources by purchasing equipment that has multiple purposes. Pick a printer that accepts refillable toner cartridges. Try to print on both sides of paper whenever possible and be sure to use recycled paper. Cut down on paper use. Cancel your magazine and newspaper subscriptions, and get news and entertainment online. Eliminate your junk mail by getting off mailing lists. Recycle all the paper you can — from documents to cardboard. Avoid chemicals in pens, markers and other supplies by searching for non-toxic options. Also, look for office supplies made from recycled plastic and other sustainable materials. Try a refillable pen rather than buying disposable ones. Shop for supplies in multi-packs to save on packaging. Buy used furniture or refurbish and refinish what you have. Donate old furniture to charity rather than throwing it out.